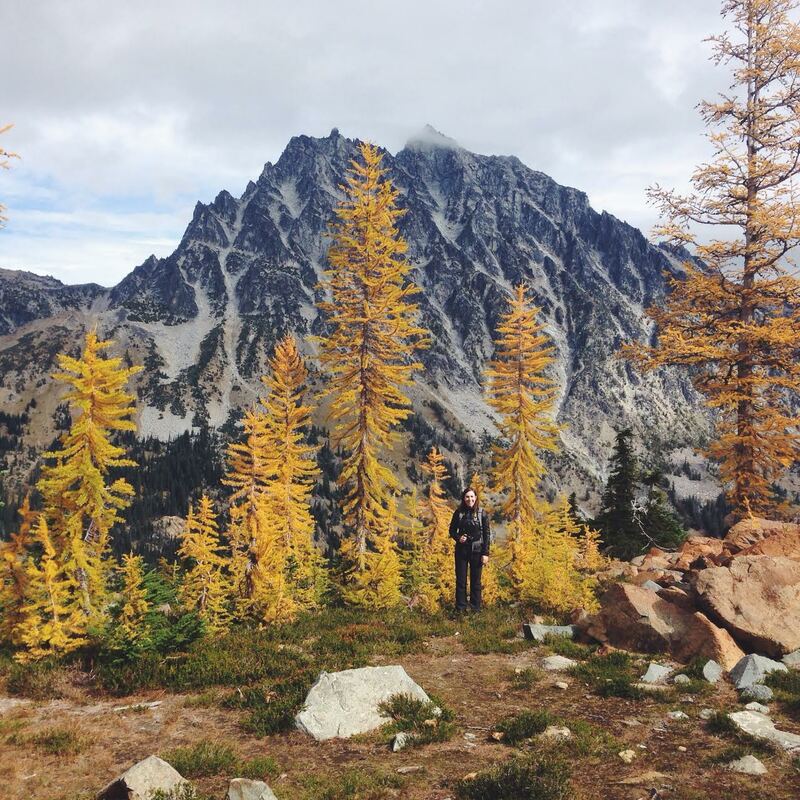 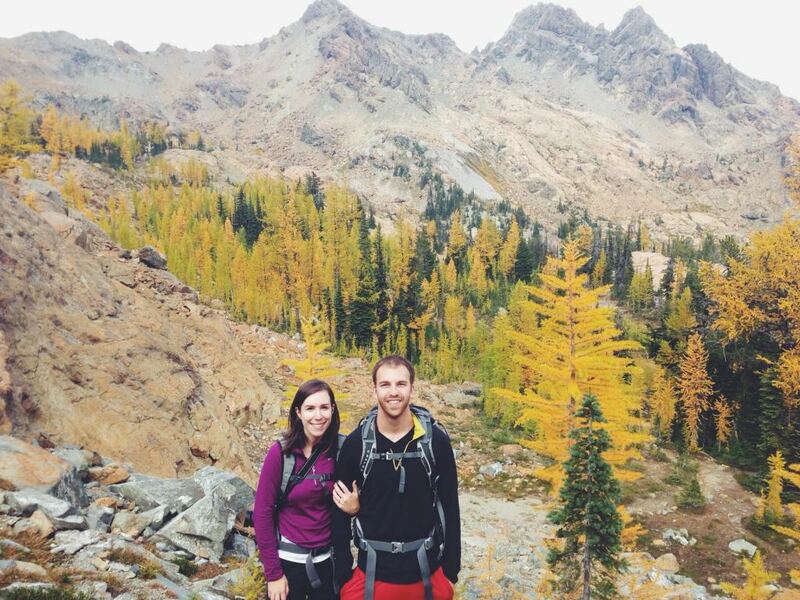 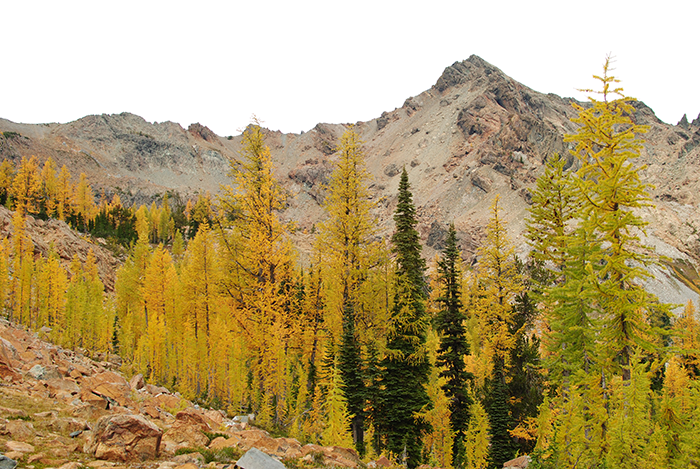 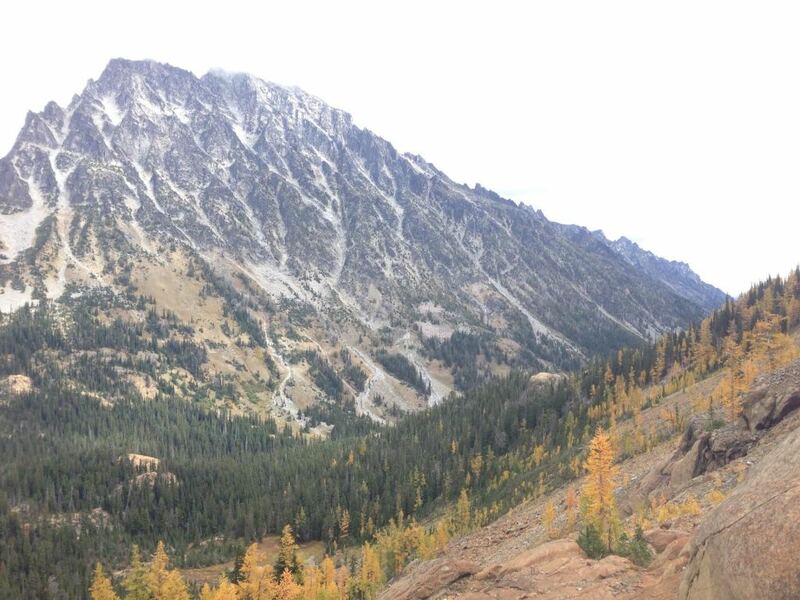 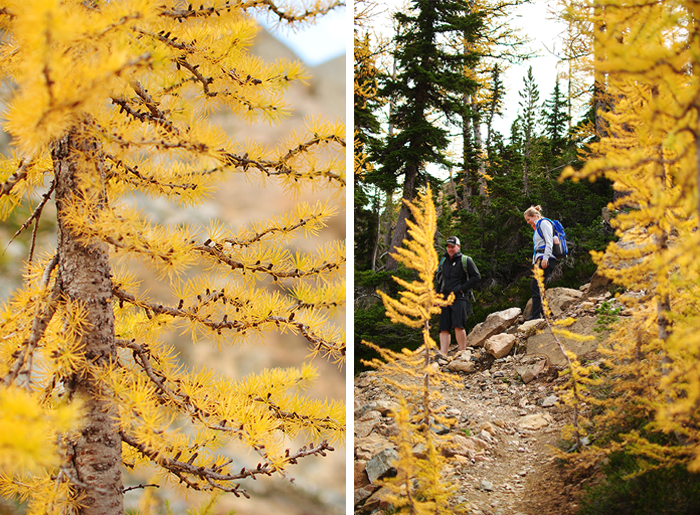 Having never experienced the northwest alpine larch, my whole goal for fall was just that. 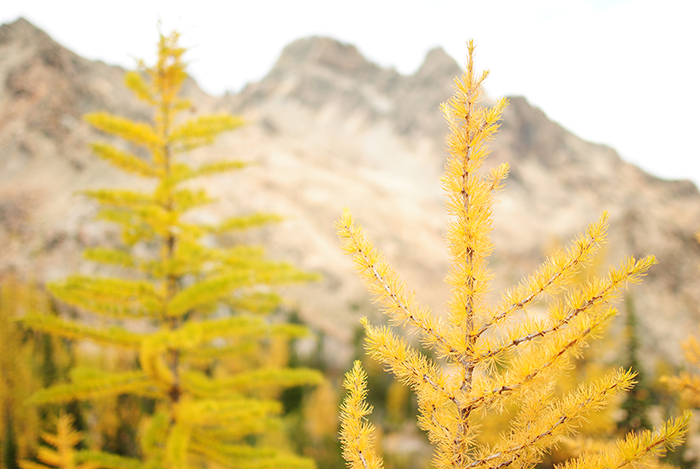 For those not familiar, an apline larch is one of the only deciduous, coniferous trees that change colors. 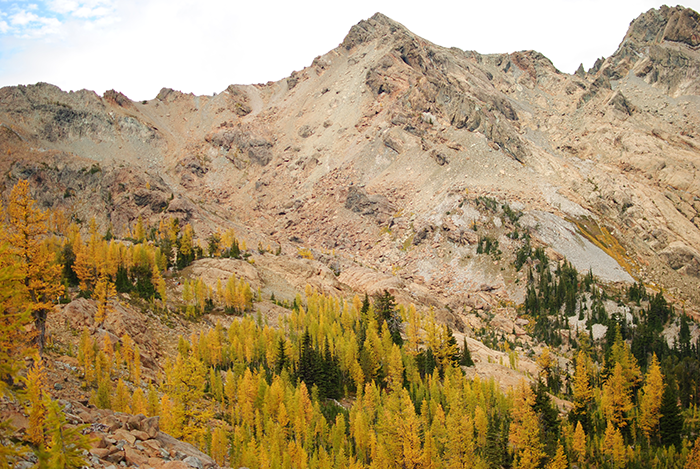 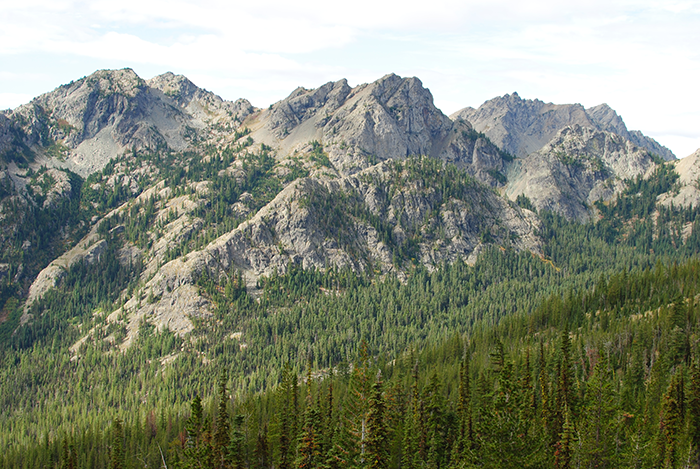 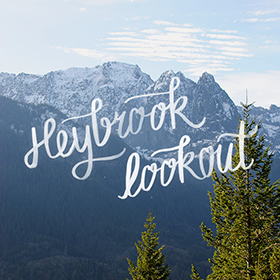 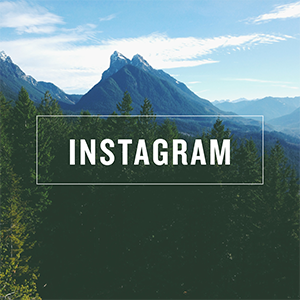 And they only grow between 5,900 – 7,900 feet so usually hiking to larches involves a lot of climbing. 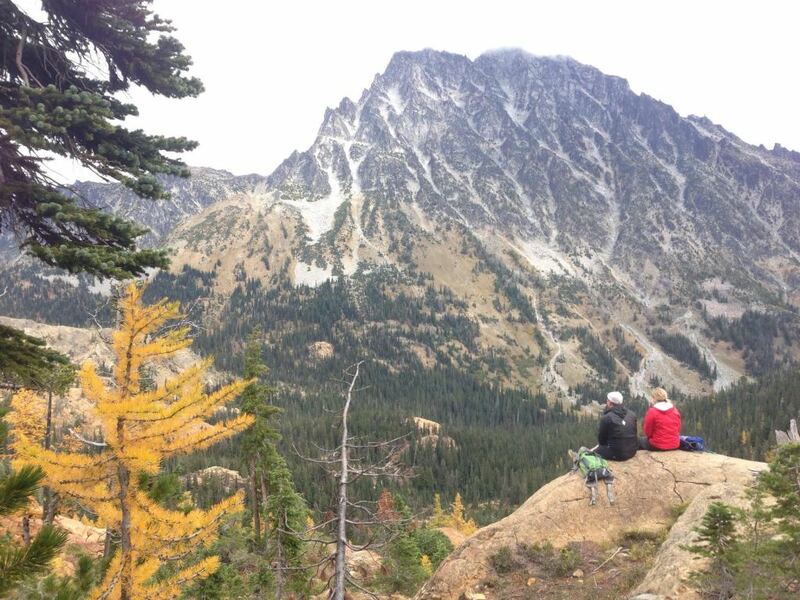 But not to worry, I can attest that the climb is completely worth it. 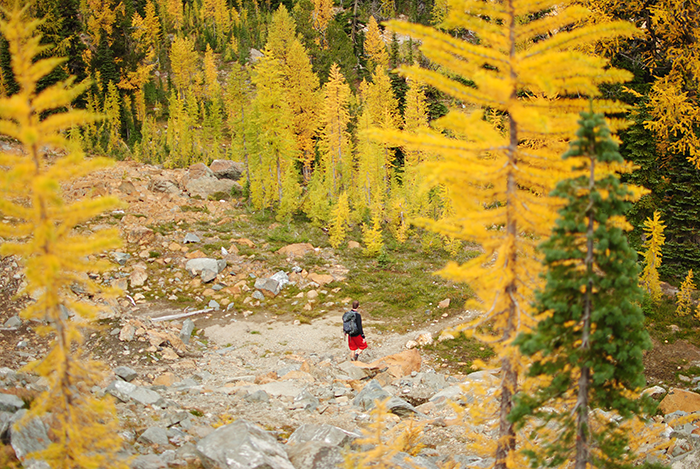 A group of us met for dinner the night before our hike, scouring Instagram and WTA trip reports for signs of golden larches. 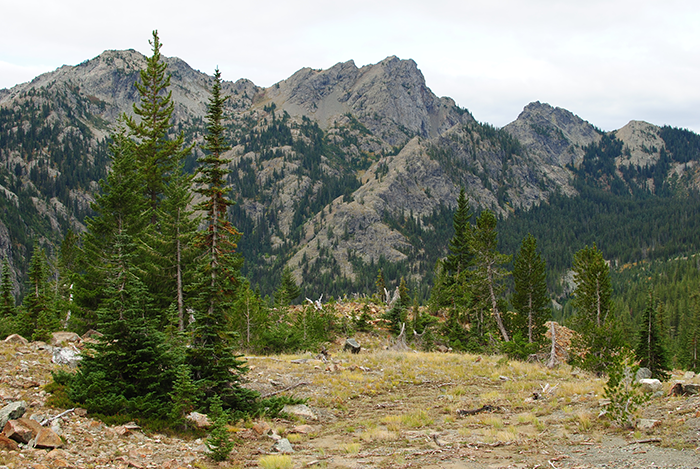 We found only one or two sightings and decided that was enough. 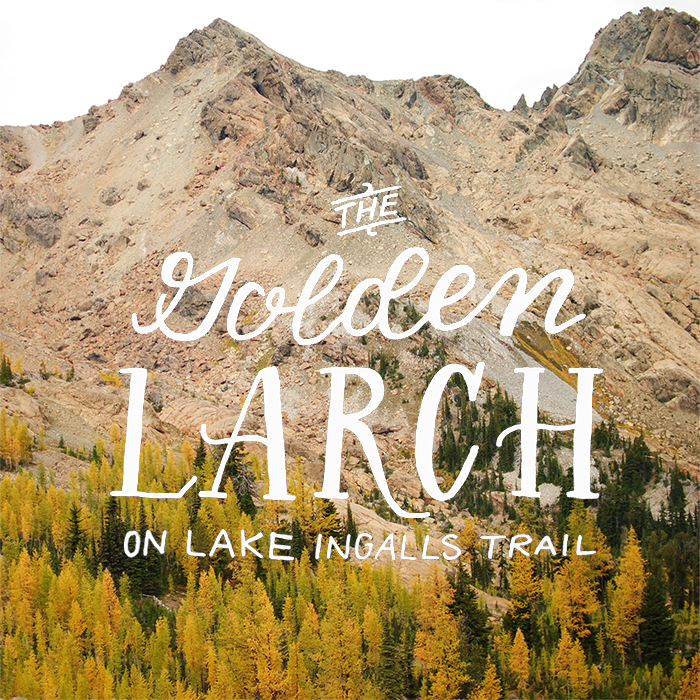 We set out on a sunny October weekend hoping to find a golden larch, but what we saw pleasantly exceeded our expectations. 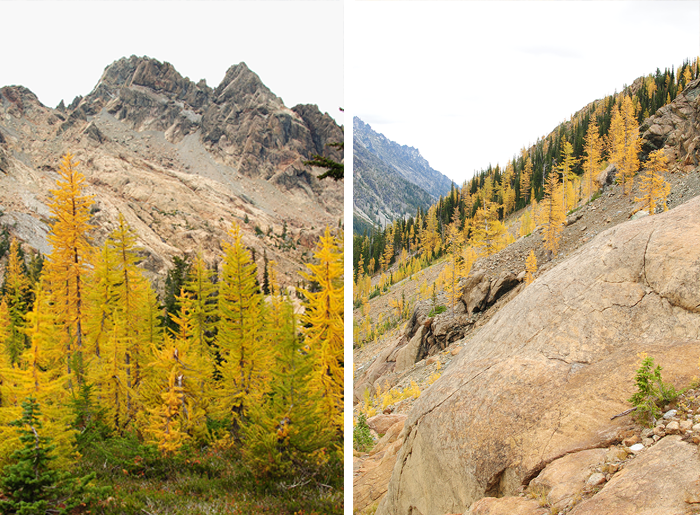 After climbing and climbing we finally made it to the top of Ingalls Pass to discover that on the other side of the ridge had not one but hundreds of golden larches. 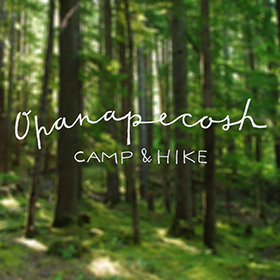 Happy dance commence. 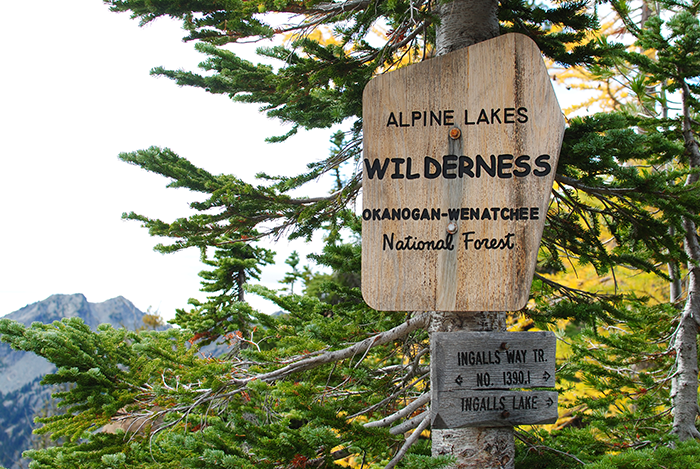 Holly, did you hike to Headlight Basin, which is before Ingalls Lake and after the sign, which is just before heading to Headlight Basin where there are the crossing of rocks and boulders?